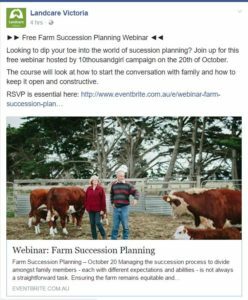 Looking to dip your toe into the world of sucession planning? Join up for this free webinar hosted by 10thousandgirl campaign on the 20th of October. The course will look at how to start the conversation with family and how to keep it open and constructive.